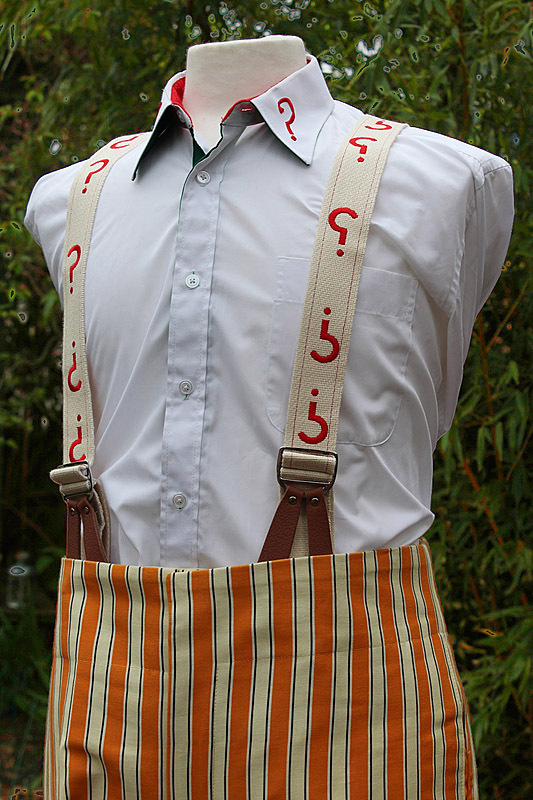 After a prolonged time of being out of stock, I finally received a heavy box this week containing my new supply of Fifth and Sixth Doctor braces. It’s been a frustrating wait, as I had sold my final set over a year ago, since when I have been without any for myself, let alone for sale! 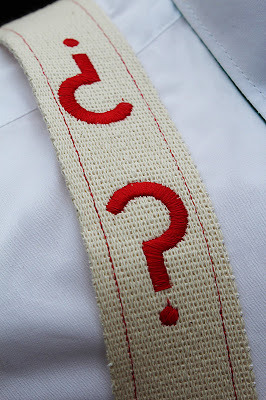 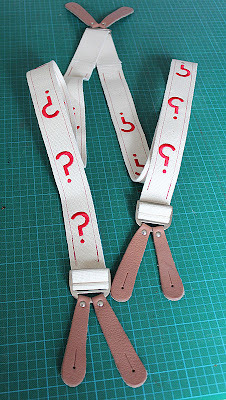 Still, they are here now and if you want to get yourself a set, get in touch! 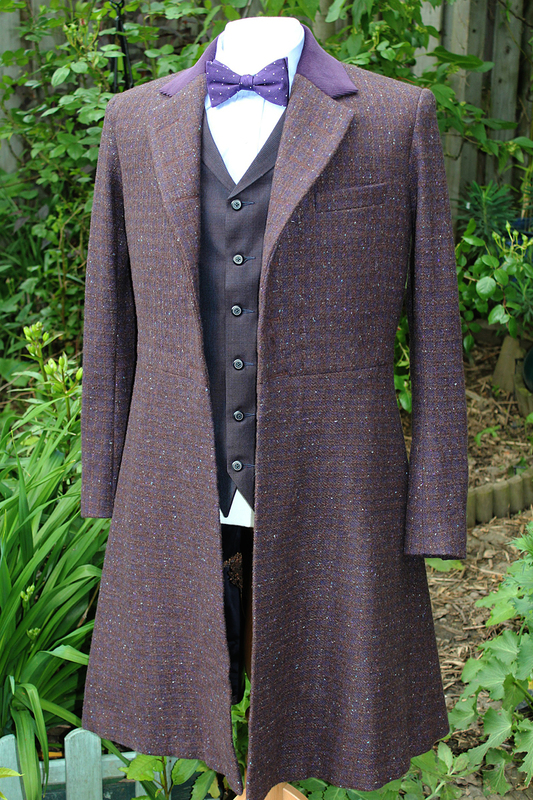 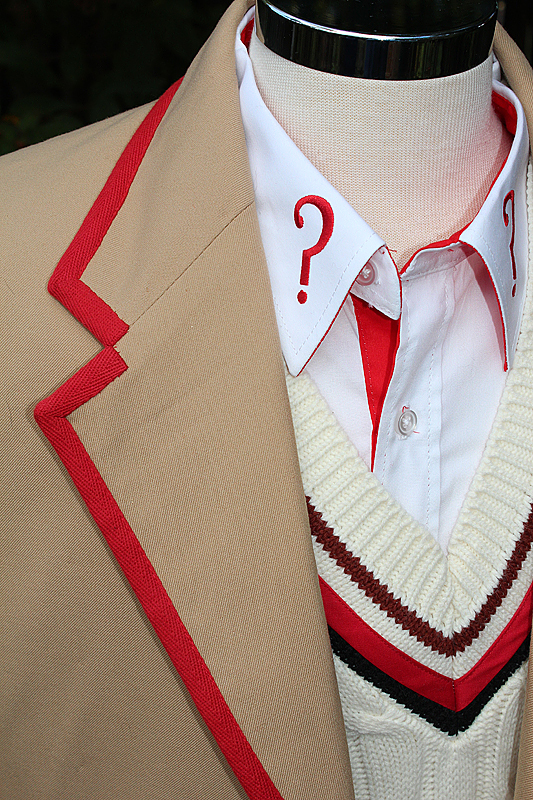 When it comes to The Doctor’s costumes there are two routes you can take to replicating his look: either go all out and spend a fortune matching fabrics and patterns (ok, guilty as charged); OR you can find yourself a next-best alternative that blocks in the basic shapes and colours you need. 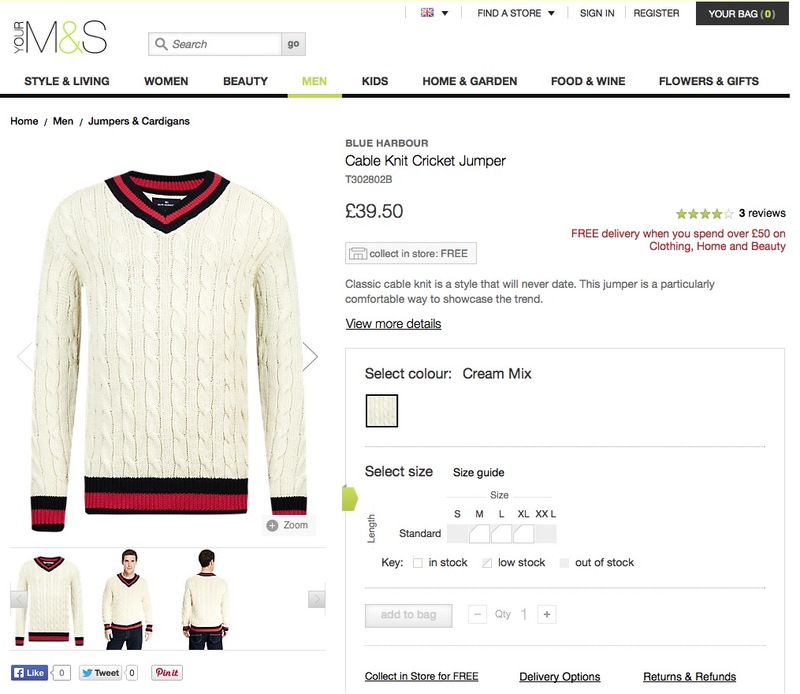 At the moment, UK high street retailer Marks & Spencer has a great alternative to the season 21 cricket jumper. 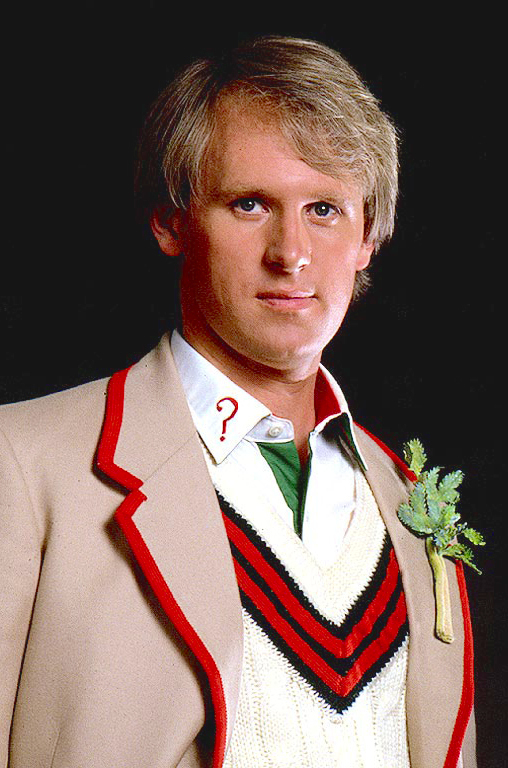 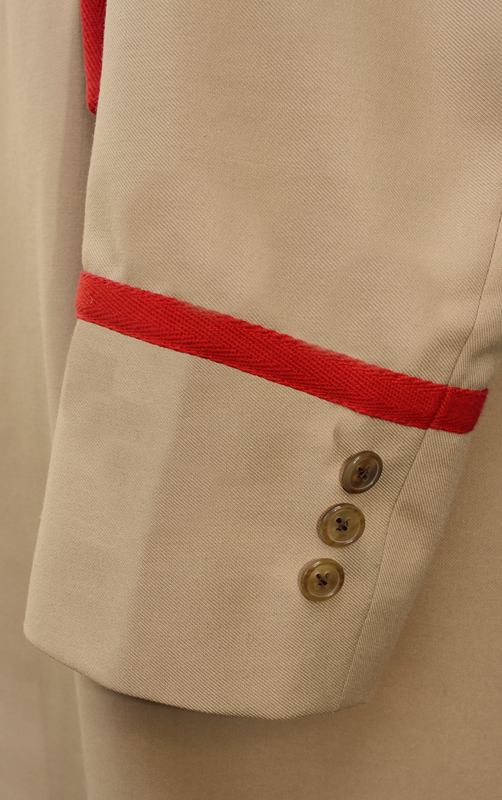 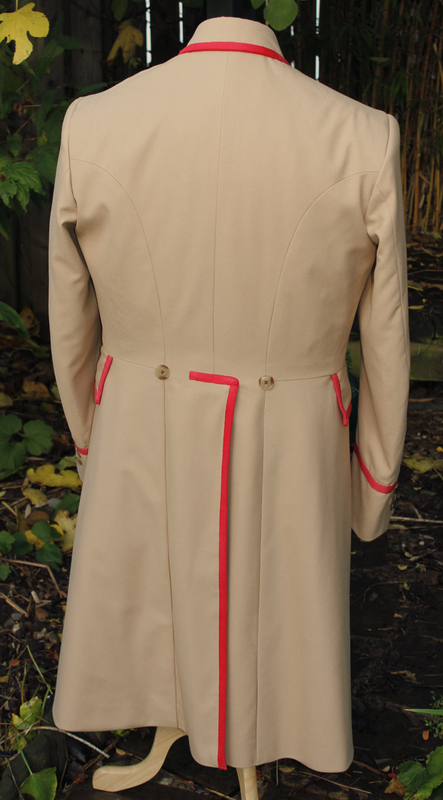 It’s not perfect - but it definitely does the job if you are looking for a quick and medium priced time for your Fifth Doctor wardrobe. 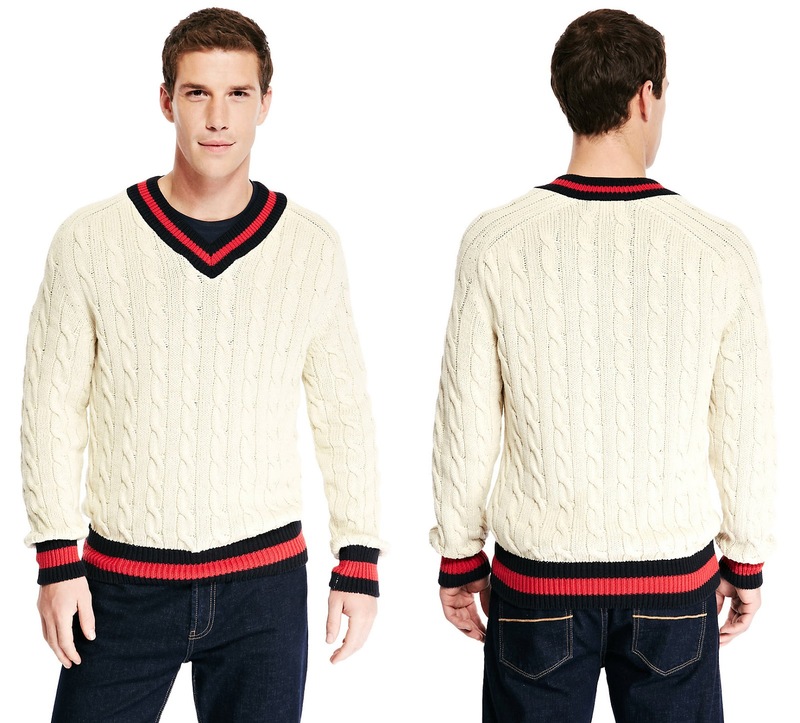 The jumper has just the right style of cable knit and the black and red trim is a darn good ringer for the screen-worn version. 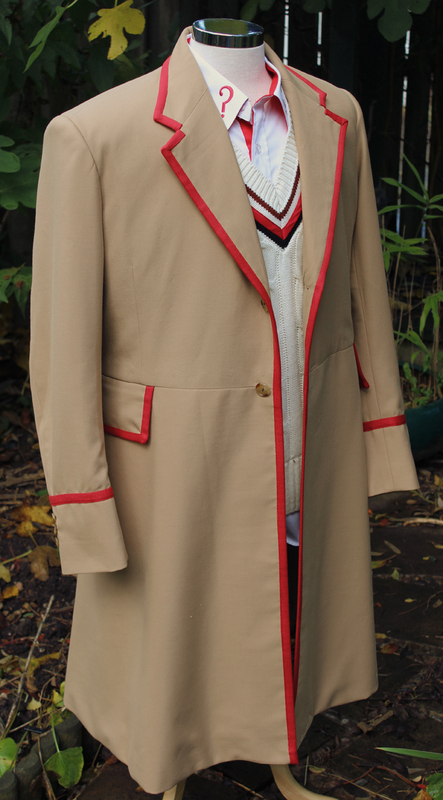 Ok, so it has one red stripe instead of two, but you got to admit it’s not bad for an off-the-shelf cosplay item!